The ways our society views alcohol and alcohol consumption are in flux – big time. Consumer tastes and worldwide market configurations are more fluid and less predictable than ever before. New generations of beer drinkers and new consumer groupings are often also becoming more health focused, resulting in important new consumer narratives in many relatively affluent societies and upwardly mobile social groups. As a result, there is a steady, substantial and global move towards beers featuring less alcohol – or none at all. Some brewery experts reckon that by 2020 as much as 20% of all the beer sold will fall into the so-called “healthy” category. For “healthy”, read “with alcohol content removed”. But what about all the surplus alcohol? There is no getting away from the fact that brewing is a fermentation-based process that produces ethanol. Removing alcohol from beer – normally using some appropriate kind of stripping or filtration technology – always results in an alcohol concentrate of varying strengths. If you want to strip out the alcohol, there has to be a solid plan – commercially viable and environmentally sound – for what to do with it. Generally speaking, there are three main approaches to putting this ethanol condensate to good commercial use. A condensate featuring approx. 20–30% alcohol by volume can be used as an ingredient in a wide range of modern hybrid products such as ready-to-drink cocktails, flavoured beer-based drinks and even beer vodka. In this kind of setup, the previously “surplus” alcohol plays a key role in adding customer-centric value, with considerable leeway for flavour management. A condensate with an alcohol-by-volume content above 60% is ideal for use as on-site fuel to meet some of the brewery’s steam requirements (typically in a co-generation plant using high-performance mixed-fuel boiler technology). This approach helps roll back a brewery’s direct operating costs, as well as improving environmental footprints. It is also possible to refine the condensate to an alcohol-by-volume specification of above 90%. As a by-product of de-alcoholization, this refined ethanol is ideal for use as fuel for suitably equipped internal-combustion vehicles – although this is only a realistic proposition in certain markets. 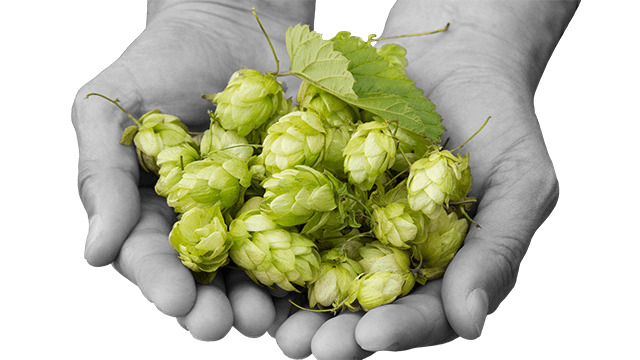 These are just a few examples of how traditional brewing processes and specialist skills, with a heavy focus on producing good flavours and tastes via (for example) the experienced management of yeast cultures and malt types, do not make it easy to deal with new aspects of this growing demand for non-alcohol beers. Adjusting taste, flavour and aromas further downstream – after the alcohol component has been removed – requires working with other technologies and requires significant adjustments and rethinks to the way we in the brewery industry apply our craftsmanship, technology and marketing skills. 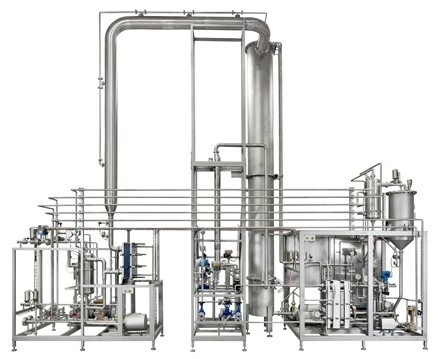 Here at Alfa Laval, for example, we have developed a specially designed, all-in-one de-alcoholization module (see illustration below) as an innovative combination of well-proven technologies, including beer degassing, culinary steam generation, vacuum stripping and alcohol condensing. These work in series as a well-integrated system, based on single-pass column stripping at low temperature and pressure. This makes it easy to simply add non-alcoholic brewing to any existing production facility, with no need for big capital investments. The company is also actively exploring ways to maximize alternative uses of stripped ethanol, for example as a key ingredient using blending technologies to fashion complementary alcoholic products and as a fuel source in boiler systems. In just a few years, the once-niche market of non-alcoholic brewing will have made significant inroads into the mainstream market. 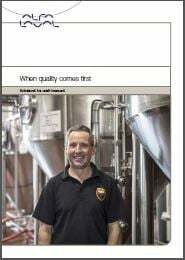 This will give rise to important choices and challenges with respect to flavour, technology capabilities and cost-effectiveness throughout the brewing process.